For days now – months actually, I’ve driven by these two trees. I always notice them, as each one displays a big red “X” on its trunk. I’ve wondered if the markings were graffiti, or if the trees were diseased and needed treatment, or if they were perhaps marked for cutting. 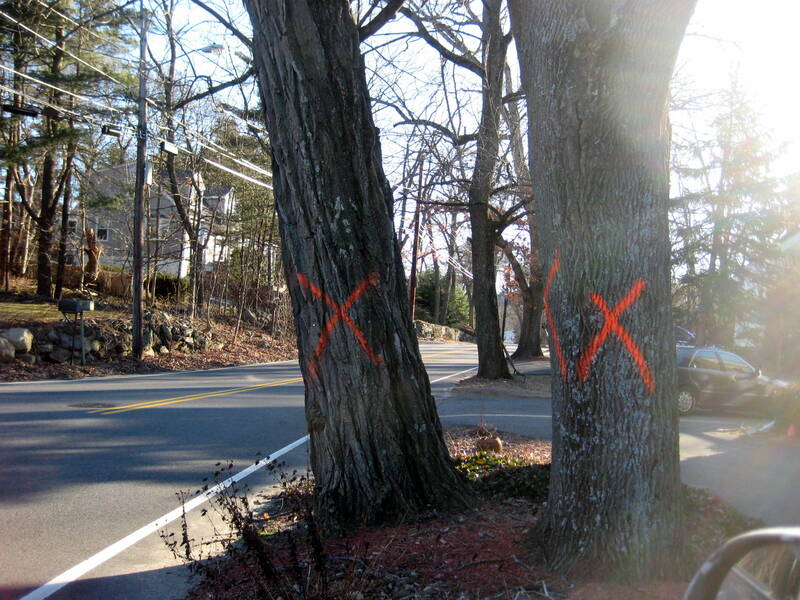 However, I surmised that if they were to be cut down, they would not need large red X’s to distinguish them – as they were the only trees in this particular front yard. Each time I went by these trees I became more curious. They were singled out. But why? What did they do to deserve this big red X? Why were they seemingly chosen? After driving by this site for so long, I decided two days ago that I would take a picture of these trees, as they were beginning to teach me lessons. I was learning each time I cruised by. So, armed with my camera I pulled into the driveway beside the trees and rolled (pushed the button actually) down the window of my car. The wind was blowing, and I heard a wonderfully sweet, melodic sound coming from one of the branches. I explored further to find that wind chimes were producing this beautiful sound. It was a lovely moment, as I sat listening to the song from the red X’d tree as I snapped its picture. I felt sort of strangely attached to these trees that had taken my attention. Today I drove back down this road, only to be stopped by a police officer directing traffic. Two large trucks were in the road and a few branches were scattered here and there. God has, in a sense, put a big red “X” on me. Through the blood of Jesus, he chose me to be his daughter. He chose me to be part of his family, and to live with him and be loved by him. 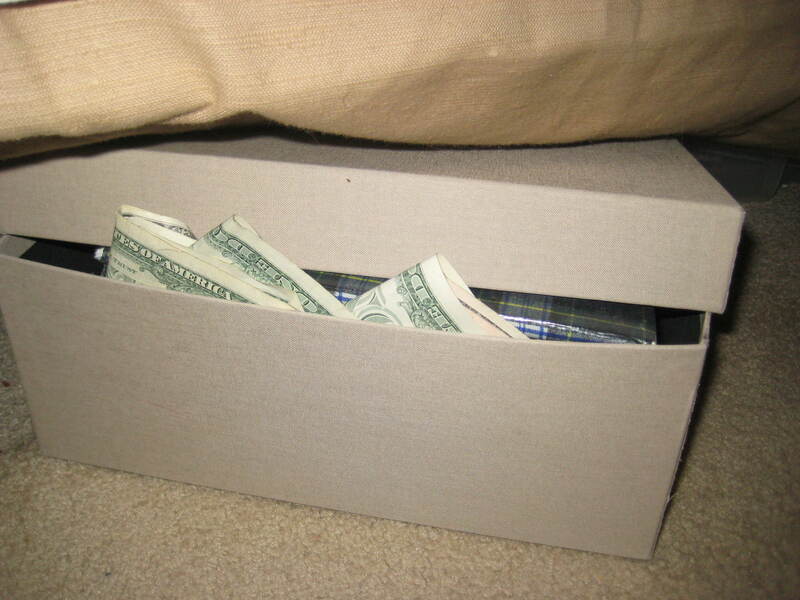 That feels really good. Yet, when we live for God, the world doesn’t understand. That sometimes doesn’t feel good. Likewise every good tree bears good fruit, but a bad tree bears bad fruit. A good tree cannot bear bad fruit, and a bad tree cannot bear good fruit. Every tree that does not bear good fruit is cut down and thrown into the fire. This makes me all the more eager to guard my heart, so that it will bear good fruit. Prov. 4:23 NRSV 23 Keep your heart with all vigilance, for from it flow the springs of life. As long as I am standing I pray that, like the wind chimes in the tree, a melody from the fruits of God’s Spirit can come from my life – and that it is pleasing and delightful to Him. “My” tree with the red X may be gone, but I’d like to think many a home can be warmed by the wood it produced. Like the wood that comes from that tree, I long to be useful in fueling the spark that ignites and warms human hearts for Him. Excuse Me, There’s a Turkey at Your Door! On the way home from lunch today I noticed a visitor at my neighbor’s front door. He was patiently waiting, looking as though he had just rung the doorbell while waiting to be invited in. The strange thing about this scene was that the visitor was a turkey. Yes, a large, ugly turkey! 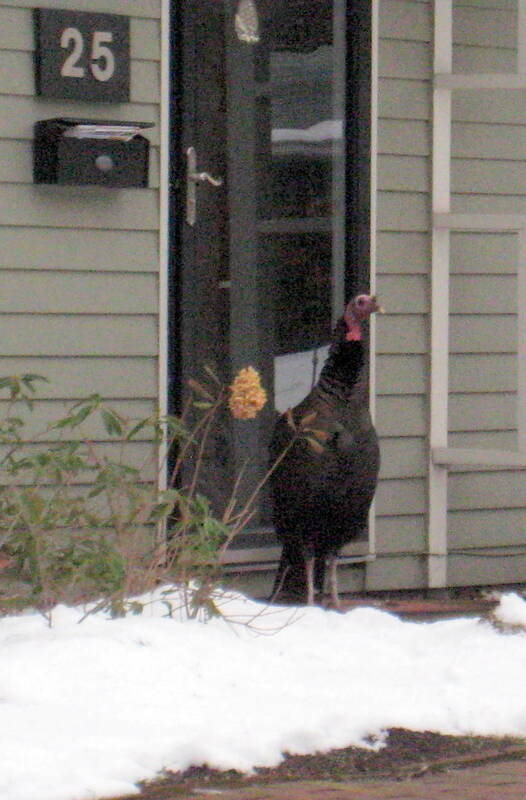 My neighbor had no idea that a turkey was on the other side of her front door, as turkeys don’t come calling every day. I laughed as I envisioned her surprise upon opening the door. Who would have thought a turkey would be lurking outside the front door? Fact is, I can be unaware of what is outside my door at any given moment. For all I know, a turkey could be at my door. We usually don’t know what waits on the other side of our door. The scriptures speak of several things waiting behind our doors. Three stood out to me. Be self-controlled and alert. Your enemy the devil prowls around like a roaring lion looking for someone to devour. Resist him, standing firm in the faith, because you know that your brothers throughout the world are undergoing the same kind of sufferings. I pray to be self-controlled and alert, so I don’t open the door to that which can spiritually harm me. Truth be told, opportunities may be waiting for you outside of your door. “Ask and it will be given to you; seek and you will find; knock and the door will be opened to you. For everyone who asks receives; he who seeks finds; and to him who knocks, the door will be opened. When we inquire of God, and seek a relationship with Him, He eagerly awaits us. If we fail to seek Him, or inquire of Him, we will miss out on untold blessings and privileges….which last through eternity. I do not want to see you now and make only a passing visit; I hope to spend some time with you, if the Lord permits. But I will stay on at Ephesus until Pentecost,  because a great door for effective work has opened to me, and there are many who oppose me. Effective opportunities for sharing the amazing promises of Jesus, which can change the course of eternity in people’s lives, may also be waiting outside of our door. Again, I must be alert and prayerful to see these. Sometimes I can miss the big picture, the spiritual reality, which is right in front of me. This can happen most often when I become distracted with the details and busyness of things that won’t matter or exist a hundred years from now. I pray that each day my eyes and heart are awakened to the “heavenly, spiritual realm” that is true reality, and the only thing that really matters. What do you see behind your front door?